Eric Cheysson, chairman of La Chaîne de l’Espoir, and Jean-Roch Serra, general manager, have travelled to Iraq between 13 and 16 of May 2017 to visit the main sites of operation of La Chaîne de l’Espoir, to meet with the medical teams and local partners, and to reflect on the strategy regarding future actions in such a deteriorated humanitarian environment. 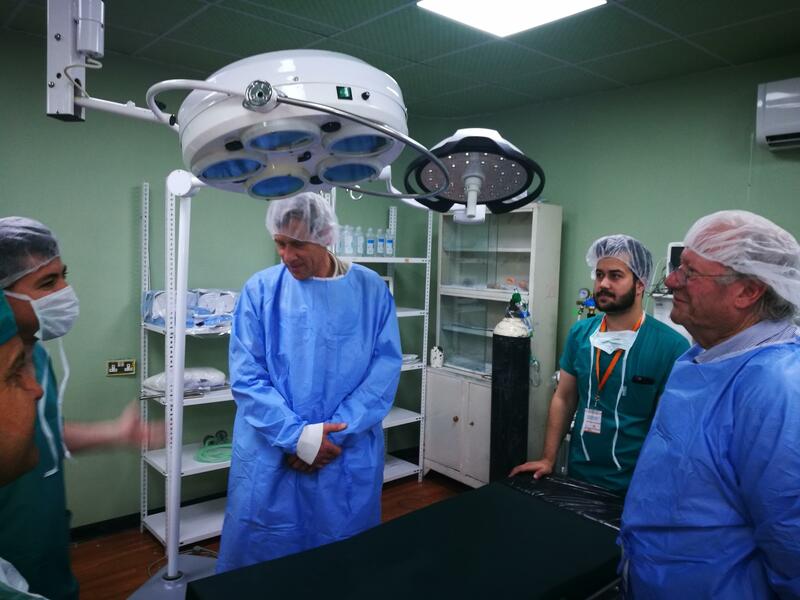 They have visited Rabbia and Snuny, on the Syrian border, where La Chaîne de l’Espoir has set up two operating theatres providing essential surgical services to local civilian populations and displaced persons in unstable areas previously lacking surgery and medical care. They have also visited Bardarash hospital, 30 km away from Mosul, where La Chaîne de l’Espoir is about to open a surgery room to treat emergencies in a poor district with a population of 170,000 including 40,000 refugees or displaced persons. The meetings organised with the key health players of Kurdistan and Nineveh province (Mosul) have confirmed huge humanitarian needs, particularly in paediatric surgery. Following this visit, an exploratory mission will be organised in Mosul to assess how La Chaîne de l’Espoir may efficiently contribute to restore a vital care offer for the many children severely affected by the current crisis.